News outlets around the world bombard their audience with stories of war, disaster and famine. Seldom do stories of peace and hope make the headlines, and if they do, they usually disappear quickly, or commentators and analysts quickly provide an alternative outlook, focusing on what could go wrong. But three countries (four if you look at the Korean peninsula as the two separate countries it is comprised of) made major strides towards peace in 2018 and such actions should be applauded and encouraged. One of the three still finds itself in the midst of a ‘hot’ war, while the other two have been party to ‘cold’ wars with neighbours for decades. The election of Abiy Ahmed as Prime Minister in April this year appears to have set Ethiopia on a whole new political path. During his acceptance speech, Mr Abiy made promises of political reforms, of working towards unity within the country, of building good relationships with the opposition, and of reaching out to long-term ‘enemy’ Eritrea. The speech generated much optimism and ushered in a more positive atmosphere to the country. And in the months that followed, Mr Abiy worked to follow through on his promises, implementing various political and economic reforms. Within Ethiopia itself, which has a history of authoritarian rule and state brutality, Mr Abiy’s government approved the release of thousands of political prisoners and amended an ‘anti-terrorism’ law that was seen to be very repressive. It was, however, his steps towards making peace with Eritrea that brought international acclaim. For two decades, the two countries had been locked in a ‘state of war’ over a border dispute – not actually at war, but on a tense war footing. 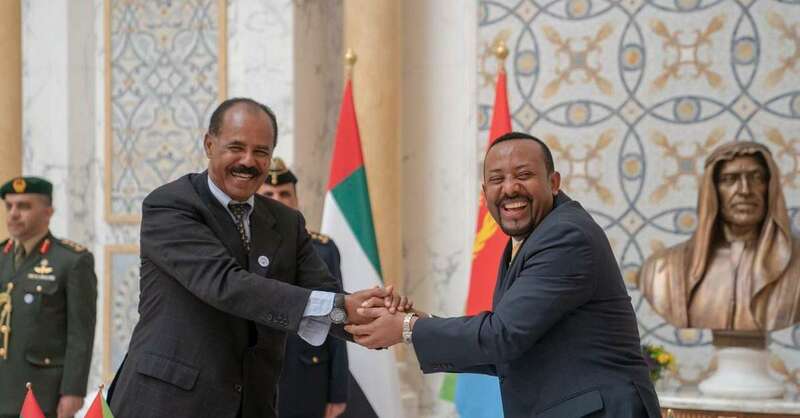 This ended when Mr Abiy initiated a meeting with his Eritrean counterpart – the first in more than 20 years to do so – and the two signed an agreement to restore peaceful relations between their countries. Diplomatic relations between Ethiopia and Eritrea were re-established, as well as telecommunication and transport links. Internally, Ethiopia is still struggling with challenges of ethnic violence, unrest in certain areas, and conflicting visions for the future of the country. But for all the progress that has been made in 2018, both within the country and with their vastly-improved relationship with neighbouring Eritrea, Ethiopia has been hailed as a ‘role model’ for the region. Ethiopia has also hosted critical peace-talks for the warring leaders of South Sudan this year, with Mr Abiy acting as a mediator. 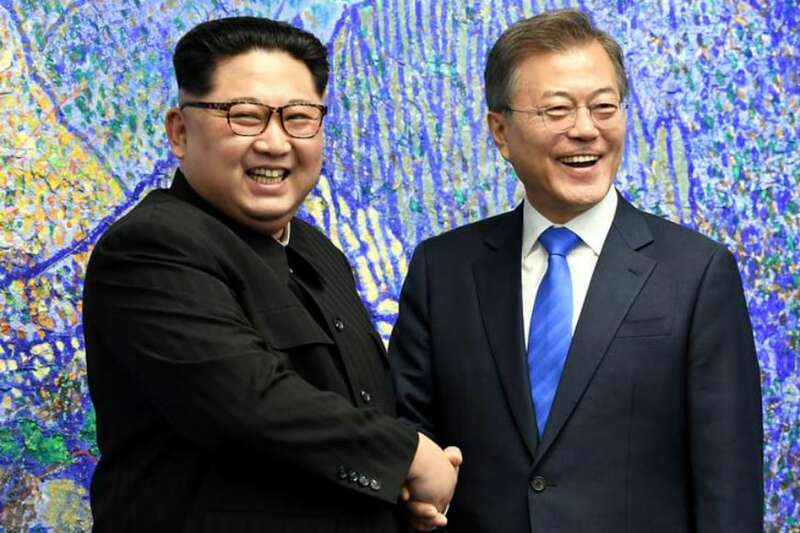 President Moon Jae-In of South Korea and Supreme Leader Kim Jong-un of North Korea met three times in 2018, with discussions focused on how to bring peace to the two nations. The first of the three meetings marked the first inter-Korean summit in 11 years. The summit was held in the joint security area, and was marked by North Korea’s agreement to work toward denuclearisation. The second and third summits focused on the pursuit of peace, and as of November 2018, multiple guard posts have been destroyed and the joint security area has been demilitarised by removing land mines and other explosives. Mr Moon’s leadership of South Korea has been focused on efforts to bring peace to the conflicted nations. The peace talks began after Kim Jong-un voiced his desire to send athletes to the Pyongyang Olympics. Kim Jong-un has proposed a visit to Seoul, the capital of South Korea, and if that happens, it would mark the first time a leader of the North has visited the capital of the South. His father spoke about visiting the South, but never followed through. The move toward peace is not without risks, and the North’s decision whether or not to abandon its nuclear programmes relies heavily on Kim Jong-un’s talks with US president Donald Trump. With the US still imposing sanctions on North Korea, Mr Moon’s eagerness to move forward with economic exchange with the North could potentially harm the US-South Korea alliance. Despite these risks, both Korean leaders have voiced a desire to move forward in peace. The countries proposed submitting a joint bid for the 2032 Summer Olympics and have teased a fourth summit “as soon as possible”. After almost eight years of death and destruction, there is a sense that the Syrian war is coming to an end. The Syrian government and their key ally Russia had a decisive year. In 2018, the capital of Damascus and its surrounding suburbs was again brought under full government control for the first time since 2011. After the heavy bombardments of Aleppo and Eastern Ghouta, it was thought that the southern regions of Syria would see a similar level of resistance, but this was not the case. Many of the rebels, when offered the opportunity for indemnity and reconciliation, took it, or took buses to the last remaining rebel stronghold of Idlib. Russia played a major role in overseeing these peace-making efforts. Local communities have also been instrumental in the process, as they have chosen to live alongside these former rebels, despite the suspicions and possible animosity after years of conflict. Two key border crossings, one into Jordon and the other into the Golan Heights region, have also been re-opened this year. The al-Naseeb crossing with Jordon is particularly significant in restoring key trade routes which will facilitate the rebuilding of Syria, and benefit Jordan. With the re-opening of the crossing to the Golan Heights, the issue of Israel’s occupation thereof has again been raised in the UN. The resolution, titled “The Syrian Golan”, was adopted by a record vote of 99 in favour, 10 against and 66 abstentions on 30 November 2018. The Syrian government was also partly vindicated in July when the OPCW interim report stated the following on the alleged chemical attack (7 April 2018) in Douma: “The results show that no organophosphorous nerve agents or their degradation products were detected in the environmental samples or in the plasma samples taken from alleged casualties.” Syria and Russia had maintained that the ‘attack’ was staged by rebels who were losing ground, in the hope of gaining a reprieve from an assault by the Western coalition. The US, UK and France did attack a number of targets in Syria (on 13 April), prior to the OPCW being allowed to gather any evidence. Gradually, voices that counter the dominant narrative are being heard. Prominent figures, such as Baroness Cox of the House of Lords in the UK, have visited Syria and reported that the Syrian people “are very grateful to the Syrian Army, to [President] Assad and … for Russian help in getting rid of the terrorists. They are the perpetrators of the most appalling atrocities and killings.” Each week, as more areas of Syria return to government control and communities begin to feel safe again, and as services are restored and schools reopened, refugees are returning home. Those that were internally displaced are often the first to return, along with those in neighbouring countries such as Lebanon, Jordan and Turkey. It has not all been victorious, however, as Turkey opened a new front in the conflict early in the year when they mounted an assault on the Kurds of Afrin in the north-west of Syria. Turkey has held on to large areas of Syrian territory as a form of assurance against the perceived threat of the Kurds in Syria assisting Kurdish forces in Turkey (the PKK is a recognised Kurdish terrorist group in Turkey). Turkey has also played a role in stalling a full-scale assault on Idlib by Syrian government forces by negotiating a truce with Russia to provide a demilitarised buffer zone. This remains a fragile agreement as rebel forces continue to threaten communities in Aleppo, Latakia and other areas adjacent to Idlib. Mr Assad has vowed that Syria in its entirety will ultimately come under government authority, and all foreigners will need to leave (including the United States and other coalition forces that have supported the rebels). The US maintains a force in Syria for the stated purpose of clearing out the remnants of the Islamic State group, predominantly in eastern parts of the country. However, their presence did not prevent the Islamic State from exacting a vicious assault on the predominantly Druze villages of the Sweida area in south-western Syria. Hundreds were killed and many were taken hostage. The resilience and determination of the Syrian people – both of those who remained, and those returning – is clearly evident as communities begin rebuilding, as they celebrate various festivals, and even hold international conventions. Syria is rising from the ashes, but there is still a way to go. Ethiopia, the Koreas and Syria clearly demonstrate the importance of pre-empting war and pursuing peace. Syria is a broken nation after years of bloody conflict. Ethiopia and the Koreas have demonstrated the better option, pursuing peace, despite the risks. In both cases, there were instrumental “people of peace” who have played pivotal roles in shifting the mood of entire nations. These leaders have counted the cost, they have taken risks and made bold moves. Theirs was not the “easy option”; peace is never easy, but it’s worth it. In seasons of shaking, it is incredibly important that believers intercede for their nations and pray for the Lord to raise up these “people of peace”, instruments in His hands, even if they don’t fully acknowledge His role in the process.